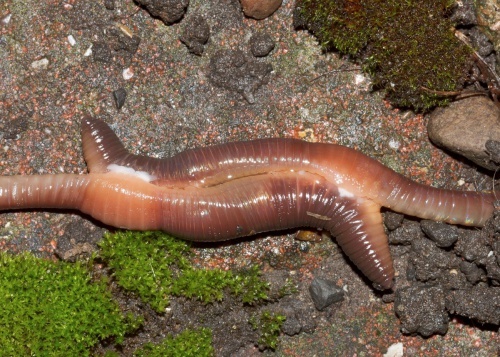 The Lob Worm is Britain's largest earthworm. 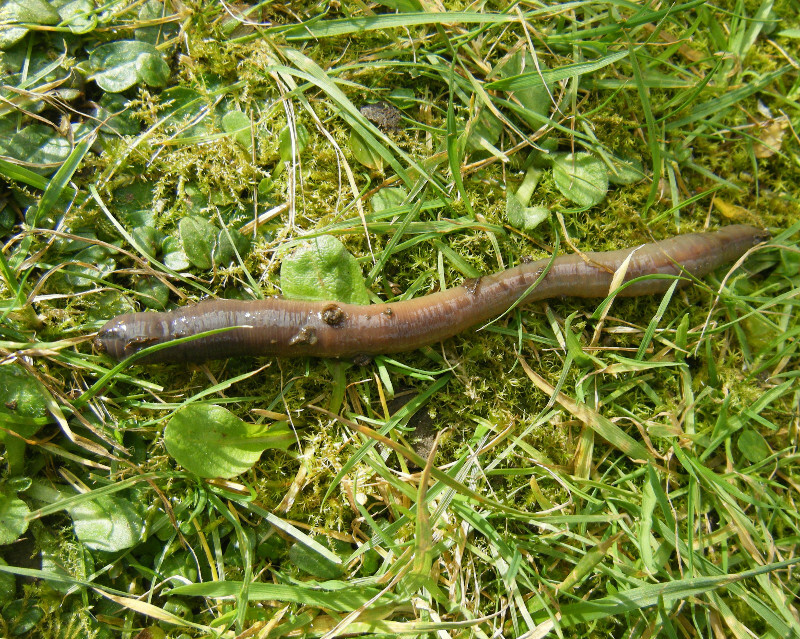 The biggest individuals can be up to 35 cm in length when moving. 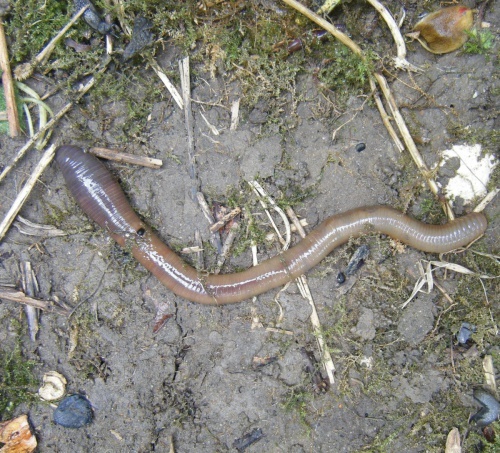 Their colour is brownish to purplish red above, yellow-orange below, with one end a flat paddle shape. 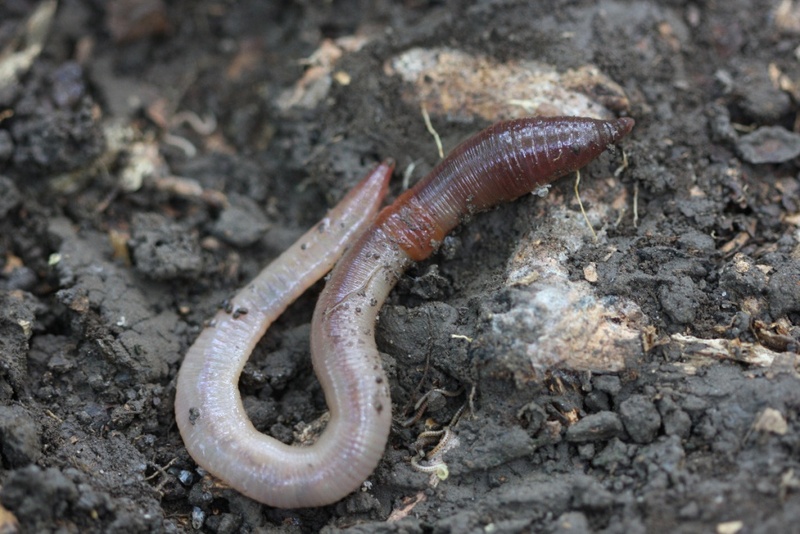 They prefer undisturbed soil and are common in lawns. 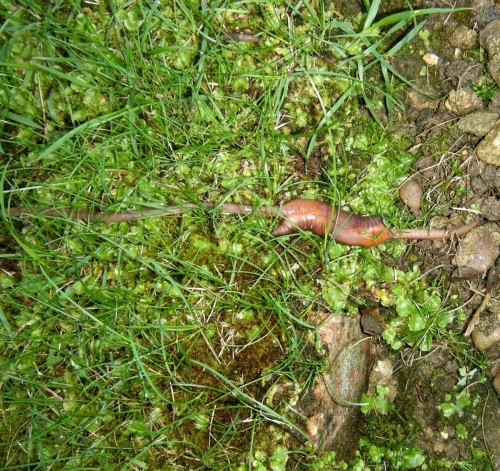 They live in deep vertical burrows in the soil and can anchor themselves by broadening their tail to grip the sides of the burrow. 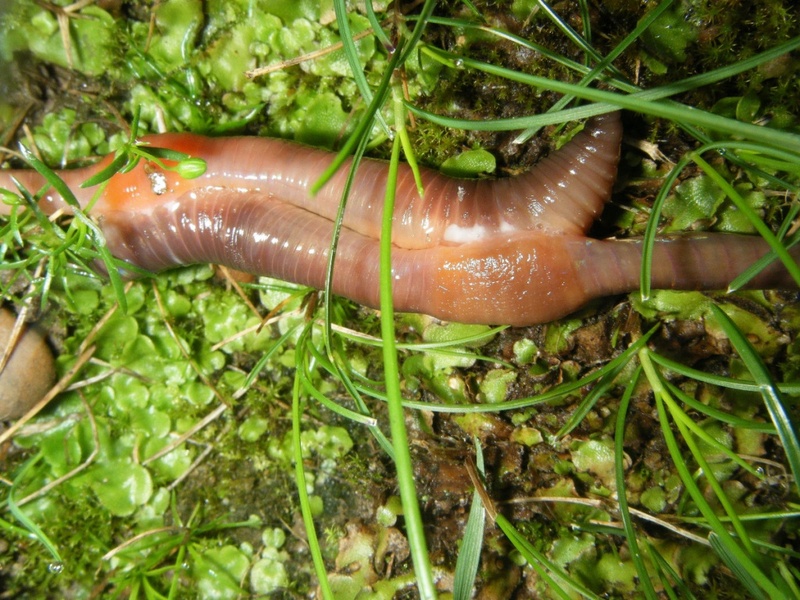 Lob worms emerge at night to feed on fallen leaves and other decaying plant material. 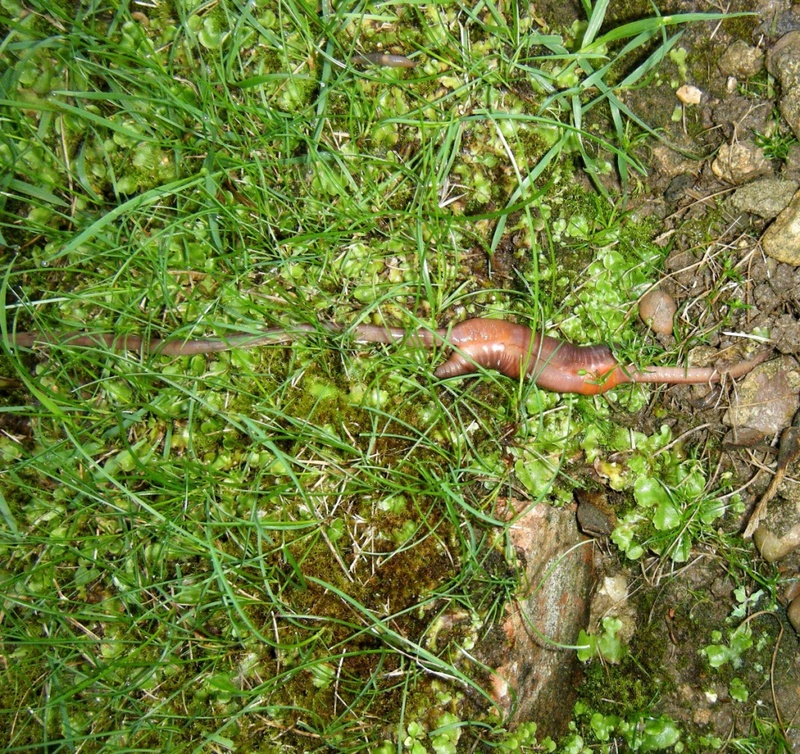 They can reach populations of 20 to 40 worms per square metre in an average garden lawn. 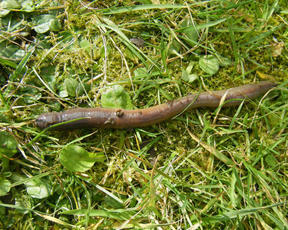 They appear on the surface of lawns in wet weather to mate. Lying head to tail, this mating can last up to 4 hours. Common and widespread throughout Britain, but badly under recorded.